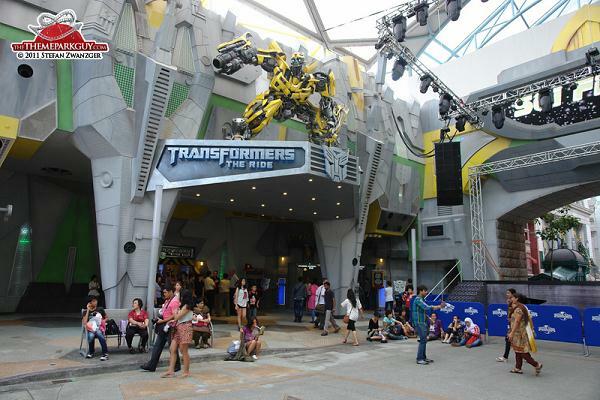 While tomorrow is the official grand opening of Transformers: The Ride at Universal Studios Singapore, that has stopped the ride from opening early. 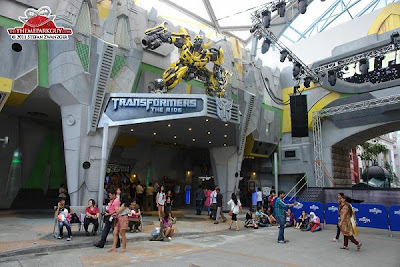 Below are links to two galleries that show off the attraction both outside and inside. After is a video from an enterprising person that managed to sneak a camera onto the attraction and hang on to it through the bumpy 4 and half minute ride. The video is blurry due to the 3D effect. Wow, impressing event! Video is quite quick, but it is ok too, great post!